Home » Football » Which clubs have developed the most talent? 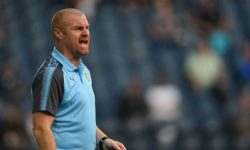 Across Europe, certain clubs have built up a reputation for bringing through players who go on to shine elsewhere. In the Premier League, Southampton are renowned for seeing their top talent move on, with the likes of Gareth Bale, Sadio Mane and Toby Alderweireld reaching the pinnacle of the game after leaving St Mary’s, but how does the Saints’ production line rank against the continent’s best? We’ve analysed every current top-flight club in England, Spain, Italy, Germany, France and Belgium over the last decade to see how many of the players in those divisions this season have passed through their ranks. Southampton’s record of developing talent is undoubtedly impressive but there are four current Premier League clubs with more former players active across Europe’s top leagues. Chelsea top the list with 31 graduates, which may have something to do with their strategy of stockpiling young talent, but this list includes stellar names such as Arjen Robben and Kevin De Bruyne. 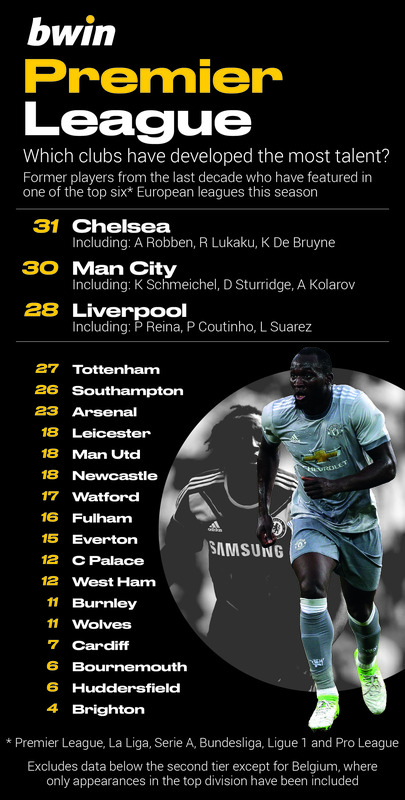 Manchester City’s aggressive spending in the transfer market has been balanced with 30 former players now playing their trade elsewhere, while Liverpool – perhaps the biggest beneficiaries of Southampton’s scouting network – are third with 28. 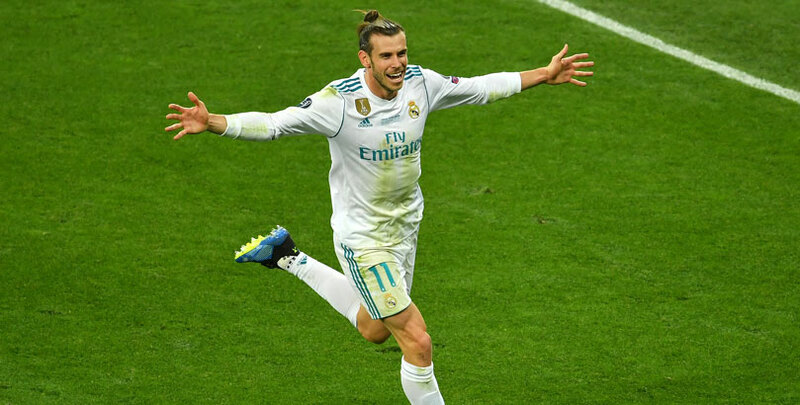 While plenty of talent passes through the doors of Spain’s “big two” clubs – Real Madrid and Barcelona – both have been eclipsed in recent years by Sevilla and Valencia as a source of top-flight recruits. 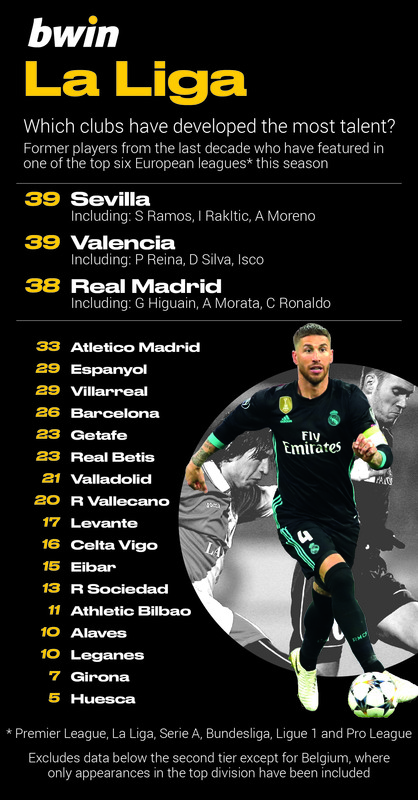 In Sergio Ramos and Ivan Rakitic, Sevilla have gifted a key player to each of La Liga’s giants, while Atletico Madrid lynchpin Diego Godin and Manchester City maestro David Silva both arrived at their current clubs after a stint at the Mestella Stadium. Over the last decade it has been Roma and Fiorentina who have dominated talent production in Italy, with Genoa surprisingly edging out many more established clubs as the third-biggest exporter of top flight players. 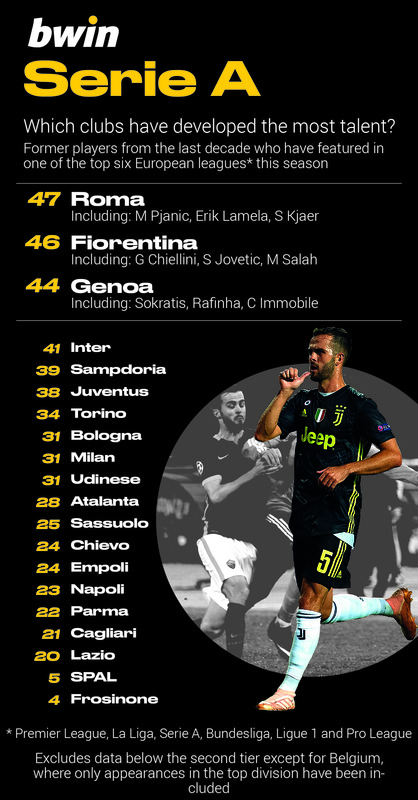 The recent departure of Radja Nainggolan was the latest in a trend which has seen the likes of Miralem Pjanic, Erik Lamela and Marquinhos join the ranks of Europe’s top clubs after a spell in the Italian capital. Florence, meanwhile, has been a springboard for the careers of Mohamed Salah and Juan Cuadrado in particular – both have rediscovered their best form after donning a purple shirt. Despite rarely troubling the top of Serie A, Genoa’s players tend to punch above their weight, with Ciro Immobile and Šime Vrsaljko two recent examples of former Rossoblu stars reaching the very top of the game. Borussia Dortmund haven’t just given Europe top managers such as Jurgen Klopp and Thomas Tuchel, but also more current top-flight players than any other Bundesliga side. 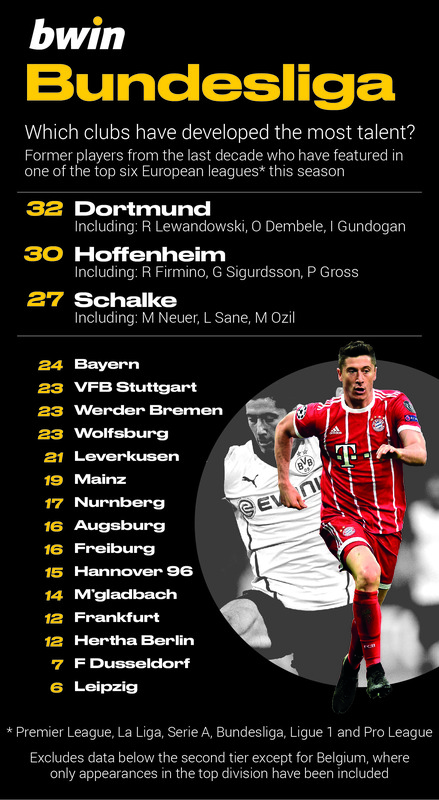 Robert Lewandowski is one of many that they probably wish hadn’t gotten away, being unable to resist the call of Bayern Munich, but their alumni decorate squads across the continent. Ilkay Gundogan has finally established himself at Manchester City while Inter’s Ivan Perisic scored in the World Cup final this summer. Honourable mentions should go to the scouts and coaches at both Hoffenheim and Schalke, who both run Dortmund close with a formidable list of former stars. The Premier League would be all the poorer if Roberto Firmino and Mesut Ozil hadn’t come through their respective ranks. They may be enduring a disappointing start to the season, but Monaco can take pride in the number of players they have developed over the last decade. Their 2016/17 title-winning team are now spread far and wide, but before Kylian Mbappe and Thomas Lemar they nurtured global stars like James Rodriguez and Pierre-Emerick Aubameyang on their respective paths to greatness. 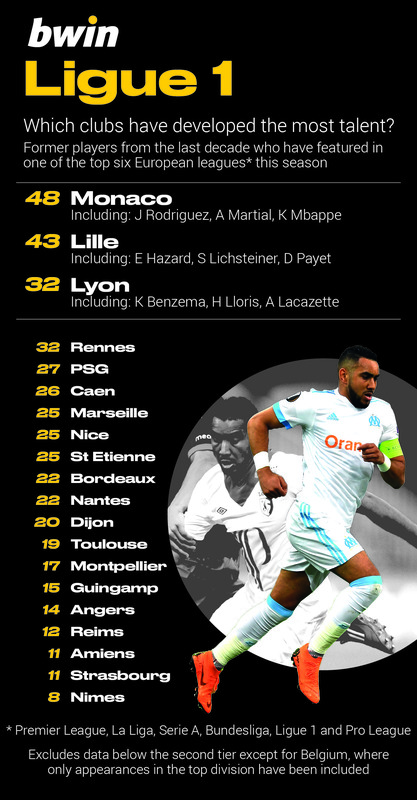 Lille are the only talent producers who come close to matching this level of output, with Eden Hazard perhaps their most famous son, while Lyon rank third having given the world some lethal strikers in Alexandre Lacazette and Karim Benzema. Belgium’s biggest clubs are also its most prominent suppliers of playing talent, with an impressive string of names having departed from both Standard Liege and Anderlecht. 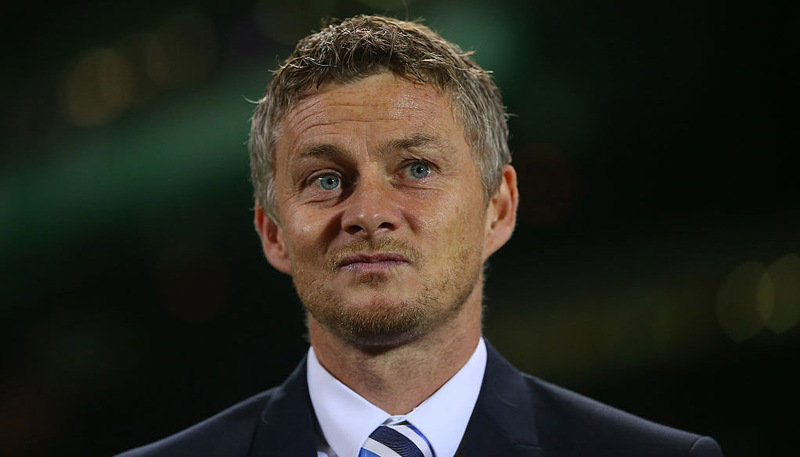 Both have stocked the Premier League in particular, with Marouane Fellaini, Christian Benteke and Michy Batshuayi flying the flag for Standard while Vincent Kompany, Romelu Lukaku and Aleksandar Mitrovic doing likewise for the purple and white. 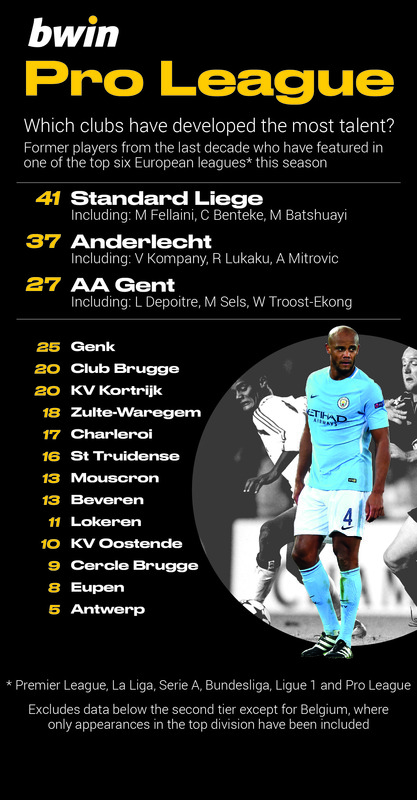 Surprisingly, reigning league champions Club Brugge have around half as many former players currently featuring in a top division, although in Thomas Meunier, Carlos Bacca and Ivan Perisic they can boast connections with a respectable list of star names.